1. 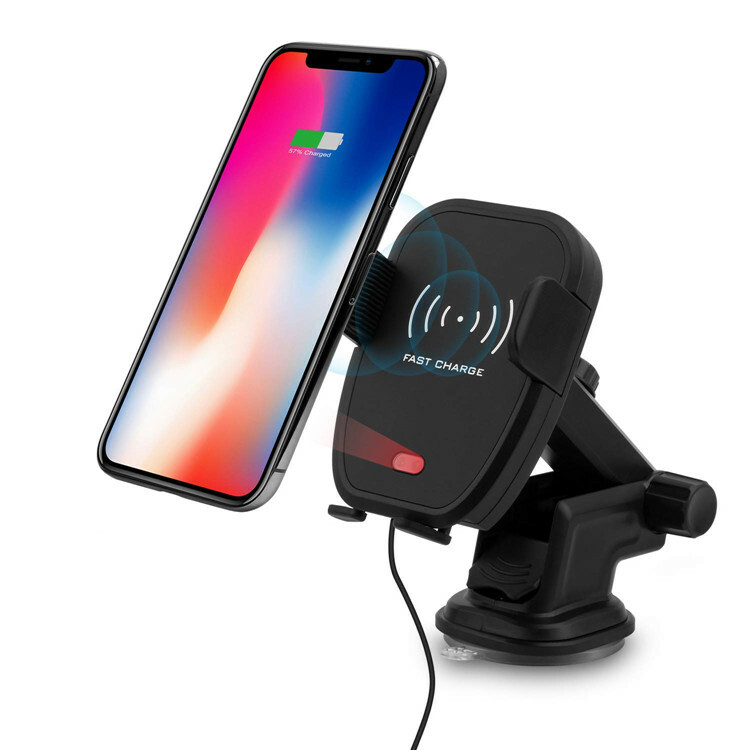 Fast charging technology:newest model Infrared wireless car charger comes with the latest chips make it charge 1.5 x faster than other wireless chargers. 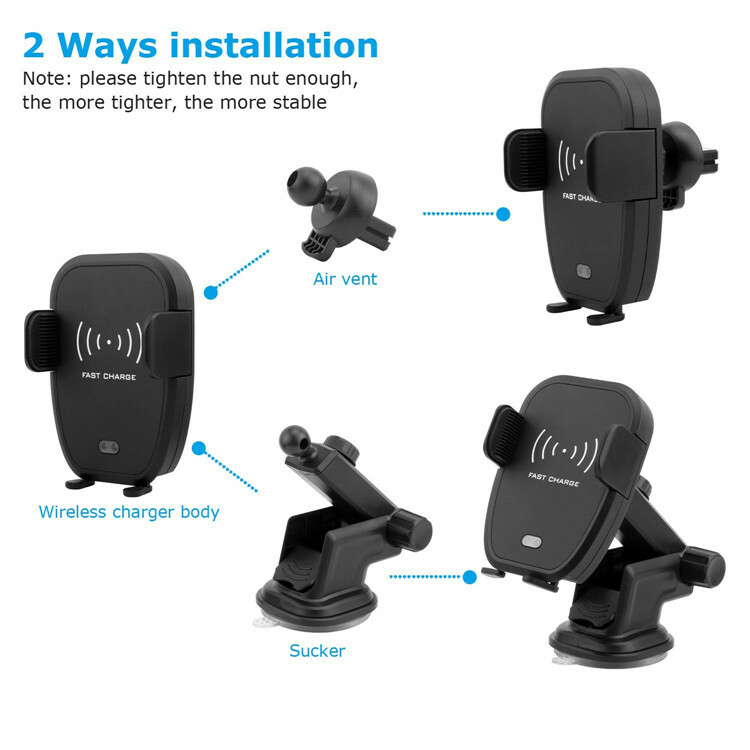 Built in 10W and real 7.5W output technology, a unique feature is fast wireless charging mode for Galaxy S9/S9+/S8/S8+/S7/S7 edge/Note5/Note7/S6 edge plus and iPhone XR/XS/XS Max/8/8 plus/X. 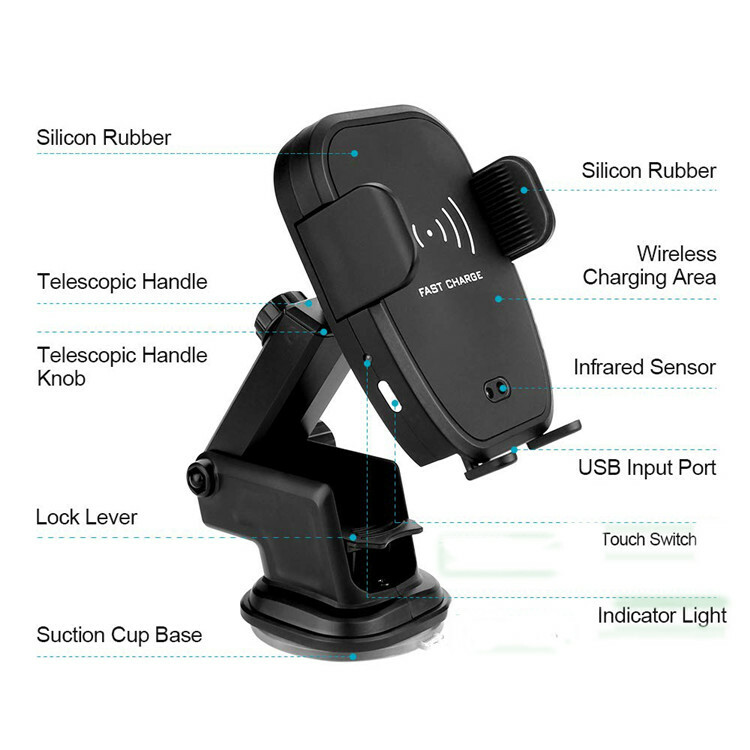 Another mode is the Standard wireless charging mode, which outputs a maximum of 5W for all the QI-enabled devices. 2. 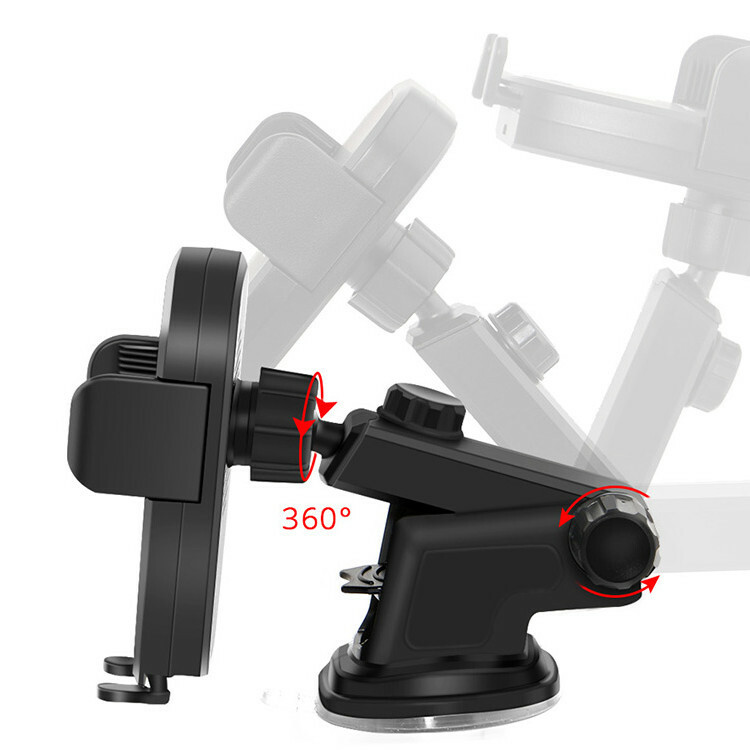 Infrared transmission induction technology: A magic part is the auto-open, auto-close of the gripping arms, the touch button on the left side of unit allows for the arms to expand automatically and retract to fit your phone in place. 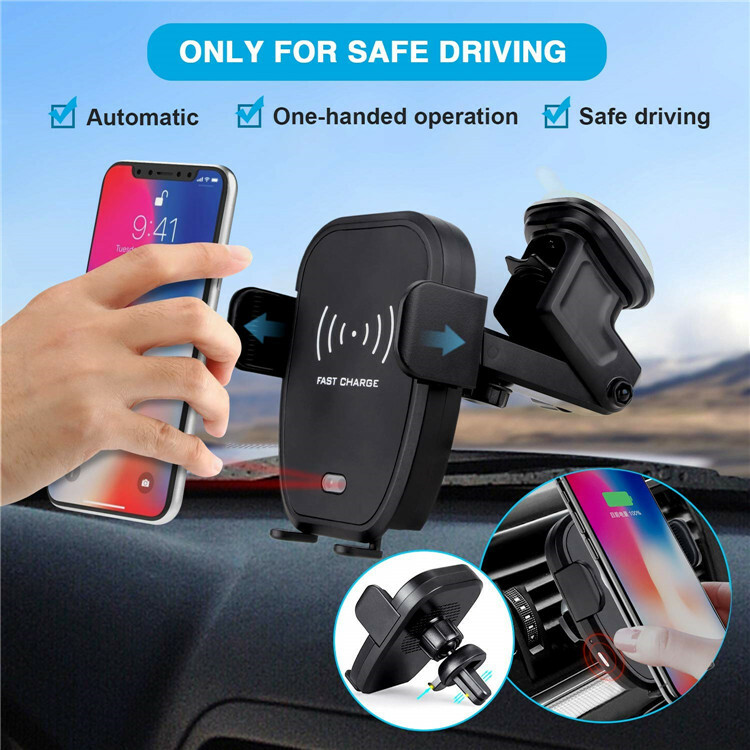 A great touch as there is no more fiddling with the arms to make sure your phone stays in place, and plus you only need one hand to place it. 4. 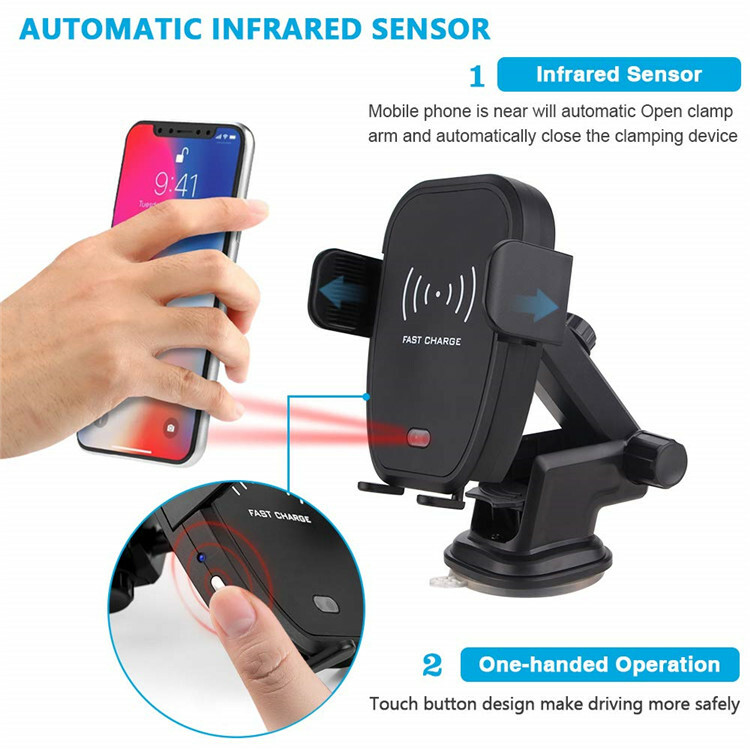 MULTIFUNCTIONAL USE and SECURELY: Infrared Wireless mount car charger can be used not only for car vent installations, but also be used for office, home, dashboard or any place you want to use. This charger is affordable, practical and easy to use. 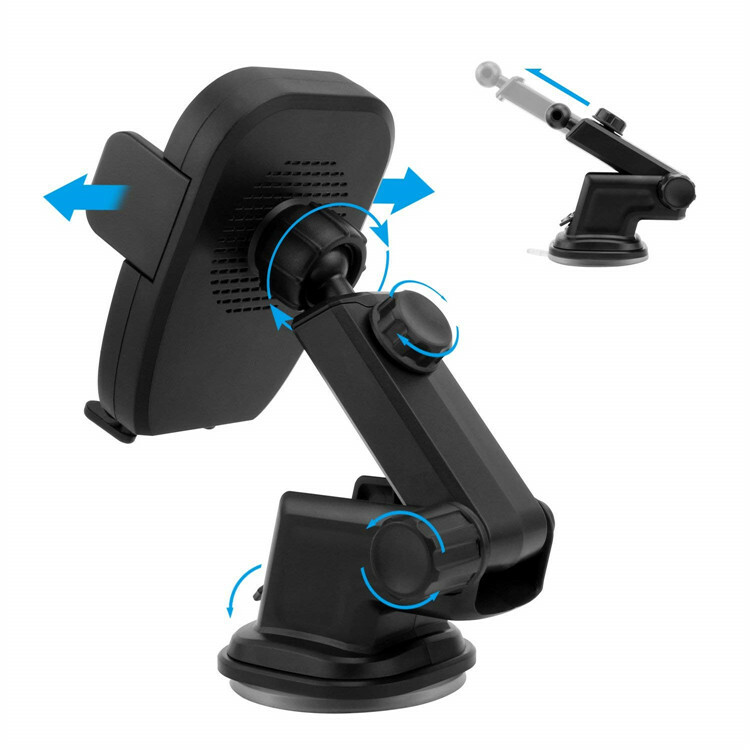 The holder has rubber cushions on the inside, hold your phone securely to protect your phone from getting scratches!